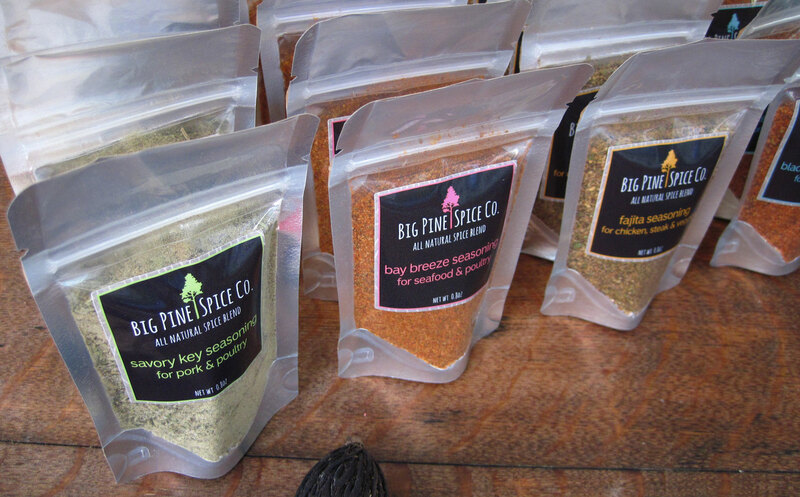 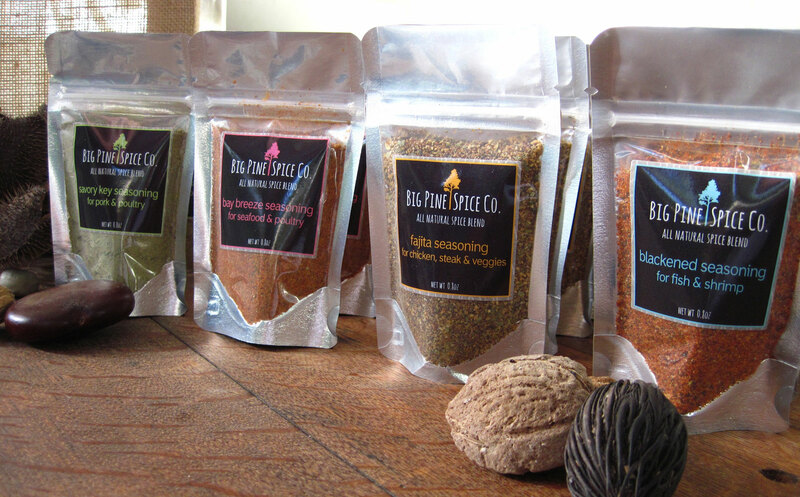 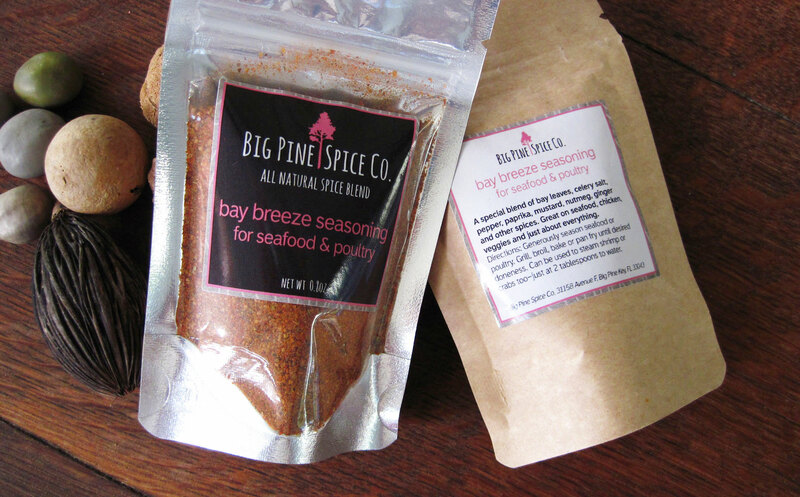 The Big Pine Spice Company is a small Mom and Pop business in Big Pine Key, FL. 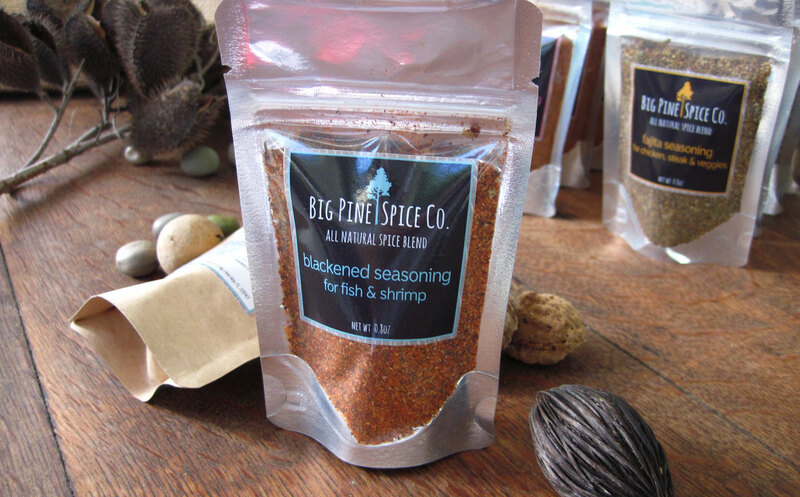 They make delicious spice blends for fish, meat, poultry and vegetables. 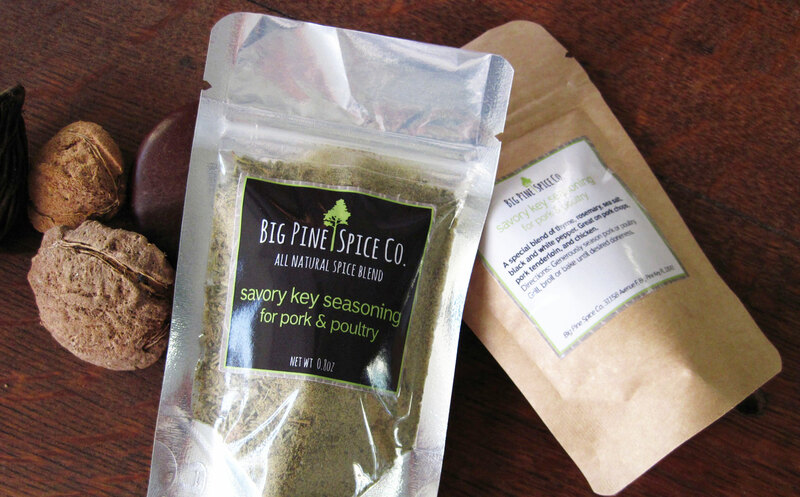 First we designed the logo with a tall handwritten font and a “big pine”. 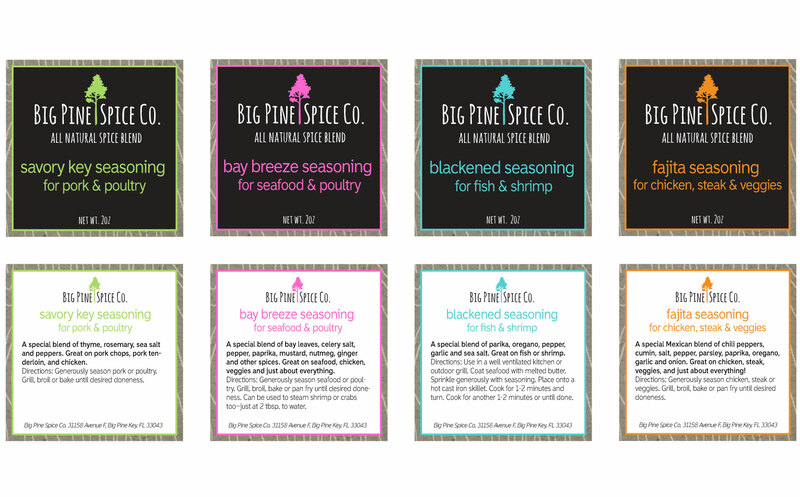 We chose a clear poly foil lined pouch with a kraft back for the packaging, then designed simple color coded labels for each of the four spice blends that the Big Pine Spice Co. started with. 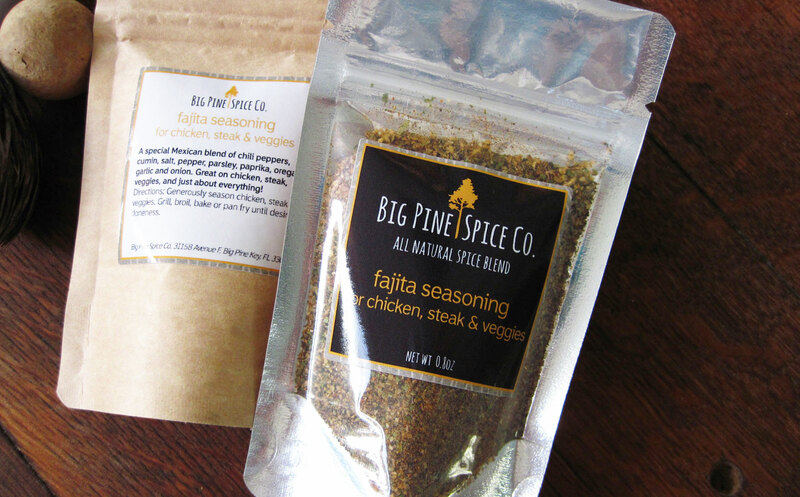 Each package contains enough spice for several meals.